Welcome to our new subscribers and we hope all LIBeerGuide readers are enjoying summer on Long Island, including your favorite summer beers. Please share this Brewsletter with friends and let them know about the free signup on our home page. North Fork Brewing Co. opened its new tasting room in Riverhead on June 29 and Westhampton Beach Brewing Co. held the grand opening of its new tasting room on July 1. This brings the total number of craft brewery tasting rooms and brewpubs on Long Island to 34. Check out our comprehensive lists of Brewery Tasting Rooms and Brewpubs on LIBeerGuide.com. The Long Beach International Film Festival, running from August 1-4, will celebrate its 7th anniversary this year with a lineup of over 50 films from around the globe and a slate of fun events featuring local food, wine and craft beer. A highlight of the festival will be the Taste on the Beach event on August 3 at the beachfront Allegria Hotel. Festivalgoers will enjoy tastings from more than 40 of Long Island's finest restaurants, wineries, distilleries and craft breweries. After the tasting event, attendees move out to the beach for a free showcase of short films shown in a special movie theatre set up on the sand. The featured local craft breweries at Taste on the Beach will be Flying Belgian Brewery from Oceanside and BrewSA Brewing Company from Freeport. BrewSA, which opened last April on the Nautical Mile, recently added a new head brewer who is well known to the LI craft beer and homebrewing community. Peter Tripp, who closed his Homebrews & Handgrenades shop in Baldwin in June, has gone pro at BrewSA and is producing the brewery's full lineup of beers including tasty wheat beers, pilsner and a New England IPA. In addition to beers from BrewSA and Flying Belgian, attendees at Taste on the Beach will enjoy tastings from Dos Equis, Estrella Damm, Heineken, Innis and Gunn, Moosehead and Strongbow Cider. Ticket information is available at this link. 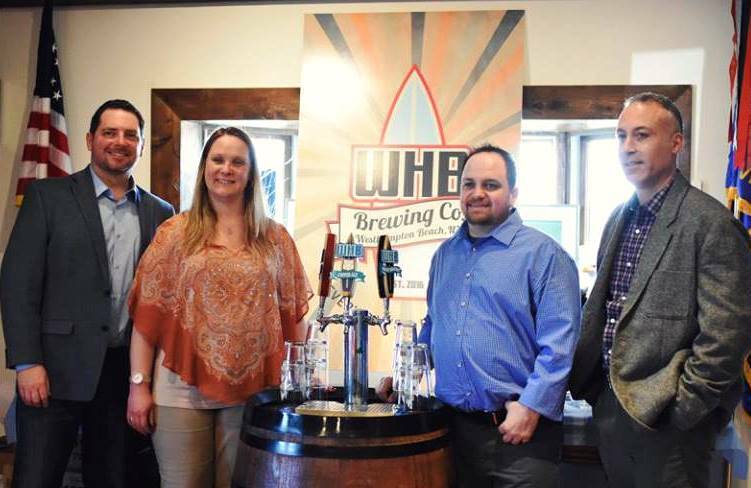 Congratulations go out to LI brewers, both professional and homebrewers, who recently won recognition for their craft at prestigious national competitions. Larry Goldstein, founder and brewer at Spider Bite Brewing Co. in Holbrook, won a Gold Medal at the U.S. Open Beer Championship held in Oxford, Ohio, for his Queen Melba Imperial Brown Ale in the Strong/Imperial Brown Ale category. 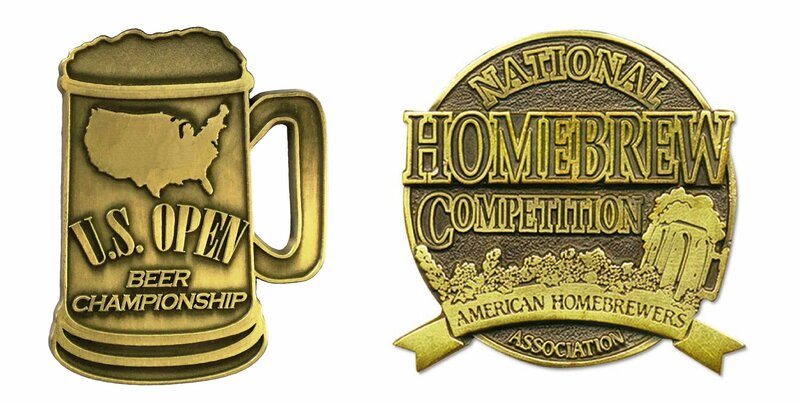 For the first time ever, LI homebrewers won awards at the National Homebrewing Competition, the world's largest homebrew competition with 9,000 entries from more than 3,500 homebrewers. The finals of the competition were held this year in Portland, Oregon as part of the annual Homebrew Con organized by the American Homebrewers Association. Alexander Lemp of East Islip won first place for his Roggenbier in the German Wheat Beer category and Paul Scrom and Nick Rosenberg won First Place for their Saison. These homebrewers were representing the Association of LI Homebrew Clubs, an umbrella group that provides membership in all three LI homebrew clubs -- Brewers East End Revival (B.E.E.R. ), Long Island Beer & Malt Enthusiasts (LIBME) and Handgrenades Homebrew Club. 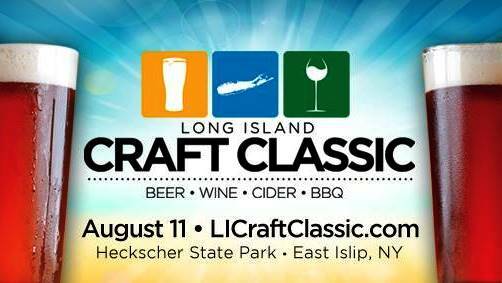 All three LI homebrew clubs will be pouring beers and ciders at the upcoming Long Island Craft Classic festival on August 11 at Heckscher State Park in East Islip. We're pleased to report that Bernie Kilkelly, publisher and editor of LIBeerGuide.com, won a 2018 Media Award at the Press Club of Long Island's annual awards dinner in June. He took home a second place award in the Food and Beverage writing category for a column published in the December issue of the Long Island Press, "Local Winter Ales Keep the Home Fires Burning." Farmingdale Music on Main -- coming August 9 and 23 -- featuring live music and sponsored by Lithology Brewing, Croxley's Dark Horse Tavern, Library Cafe, That Meetball Place and more. Patchogue Alive After Five -- 17th annual street fair coming August 2 and 16 -- six stages of live music, craft and food vendors. 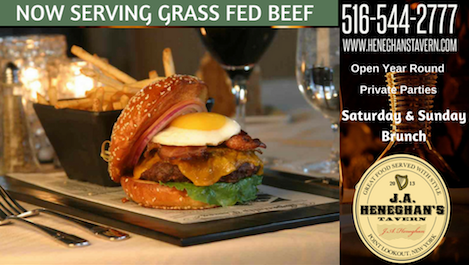 Sponsored by BrickHouse Brewery, Blue Point Brewing, Bobbique and others. Riverhead Alive on 25 -- coming August 9 -- eight stages of live music, food trucks, local wineries and craft beer from Long Ireland, Moustache, Twin Fork, North Fork Brewing and others. Sept. 22 -- 3rd Annual Long Island Fresh Hop Festival in Riverhead, 12:30 - 4 pm. Taste fresh hop beers from local breweries at LI Hops hop farm on the North Fork.